“My ideal, indeed, can be put into a few words, and that is: to preach unto mankind their divinity, and how to make it manifest in every movement of life” -Swami Vivekananda. By imparting the knowledge about the means to realise the innate divinity through divinising the whole life. Divine Park stands as testimony to Dynamic Spirituality. “My whole ambition in life is to set in motion a machinery which will bring noble ideas to the door of everybody, and then let men and women settle their own fate”. 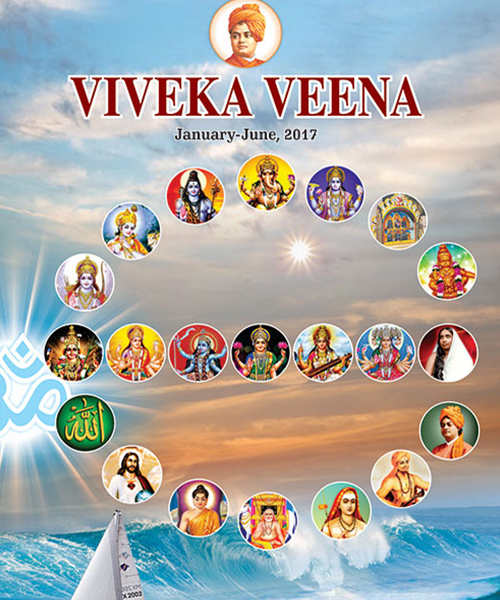 1 million readers of ‘VivekaSampada’ and ‘VivekaVeena’ magazine 400 publications | 9 languages | E-Magazine | Otoshri… Many more…. “Religion is realization; not talk, not doctrine, nor theories, however beautiful they may be. It is being and becoming, not hearing or acknowledging; it is the whole soul becoming changed into what it believes”. 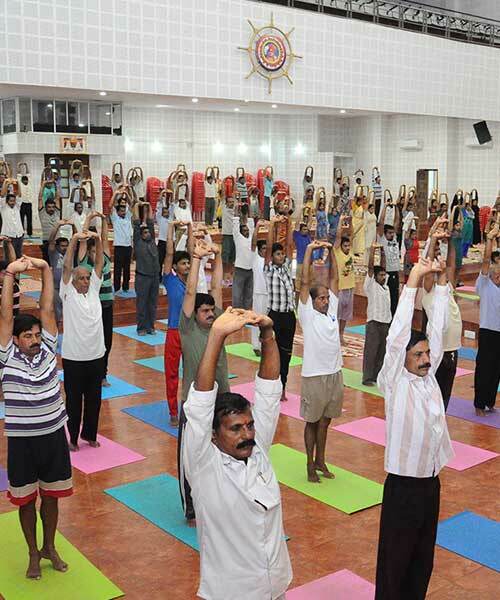 Initiating the common mass of people on the path of spiritual practice. 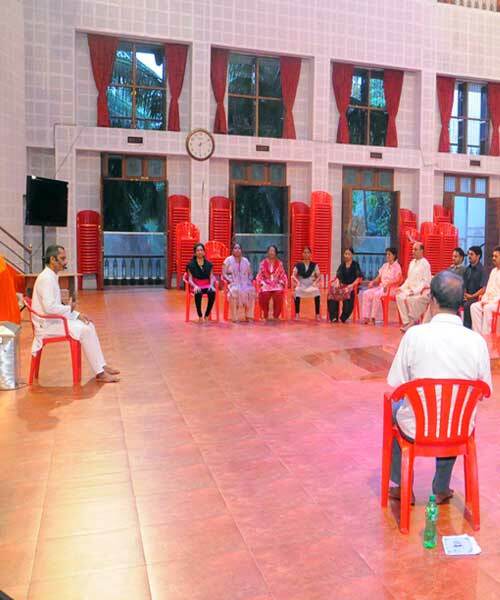 Divine Park equips individuals to become sincere sadhakas! “Teach yourself, teach everyone his real nature, call upon the sleeping soul and see how it awakes. Power will come, glow will come, goodness will come, purity will come, and everything that is excellent will come when this sleeping soul is roused to self-conscious activity” -Swami Vivekananda. With wide gamut of project, Divine Park is committed in cultivating the awareness of innate divinity, paving the way to excellence in every human being. “The society does not go down by activities of the criminals but by inactivity of good people” -Swami Vivekananda. Uniting the people with the sense of oneness & brotherhood, Nation Building is high in the agenda of Divine Park. “This quickening impulse cannot be derived from books. The soul can only receive impulses from another soul, and from nothing else -Swami Vivekananda. 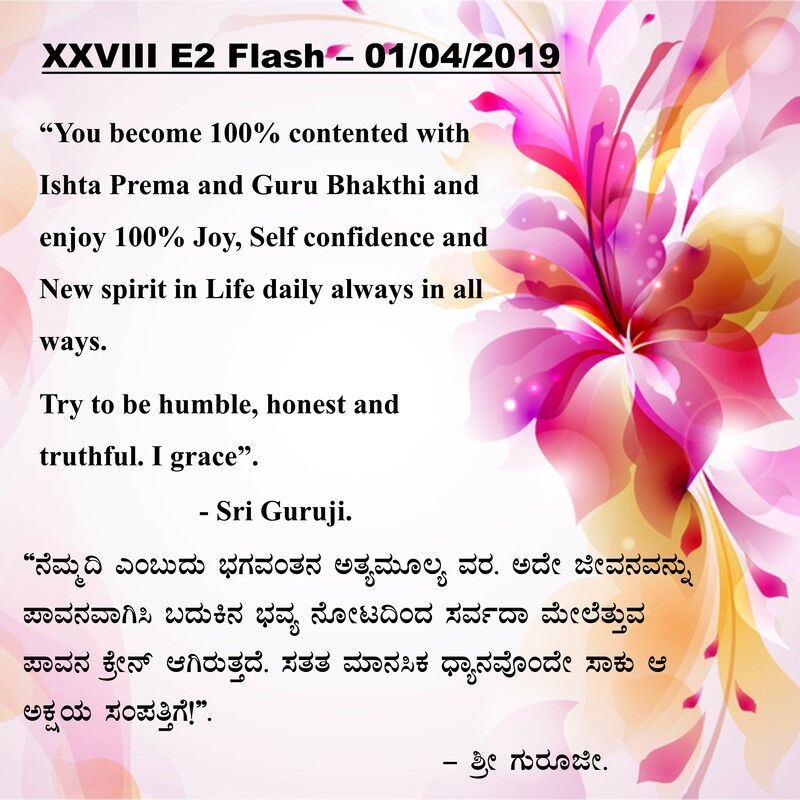 Poojya Doctorji, the spiritual medium of Sri Guruji – Swami Vivekananda, answers to more than 100 letters everyday guiding them in the path of Sadhana. “Whatever you think, that you will be. If you think yourself weak, weak you will be; if you think yourselves strong, strong you will be” -Swami Vivekananda. 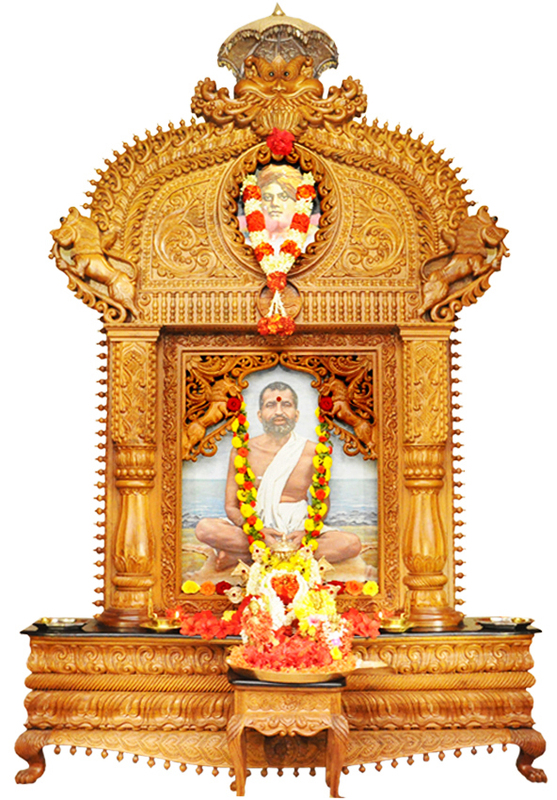 Divine Park is a unique and the only spiritual laboratory of Sri Guruji guiding and guarding all who strive hard to see, seek and seize God within. “Everyone is god to me. Think of the joy of loving man as God! Squeeze your orange this way and get ten thousand fold more out of it. Get every single drop” –Swami Vivekananda. Divine Park is centre of dynamic spirituality which guides householders in the path of God realisation. 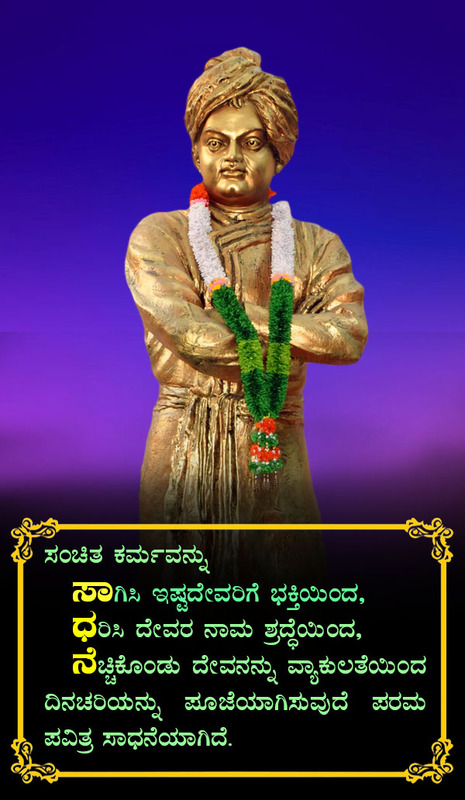 The patriot monk of India, Vishwa Manava, Vedanta Kesari Swami Vivekananda assured the world with his intense love for the mankind: “It may be that I shall find it good to get outside my body — to cast it off like a worn out garment. But I shall not cease to work! I shall inspire men everywhere, until the world shall know that it is one with God.” True to His words, Swami Vivekananda manifests here in an invisible form and has been guiding all continuously in spiritual path. We refer to Him with utmost respect and reverence as GURUJI. 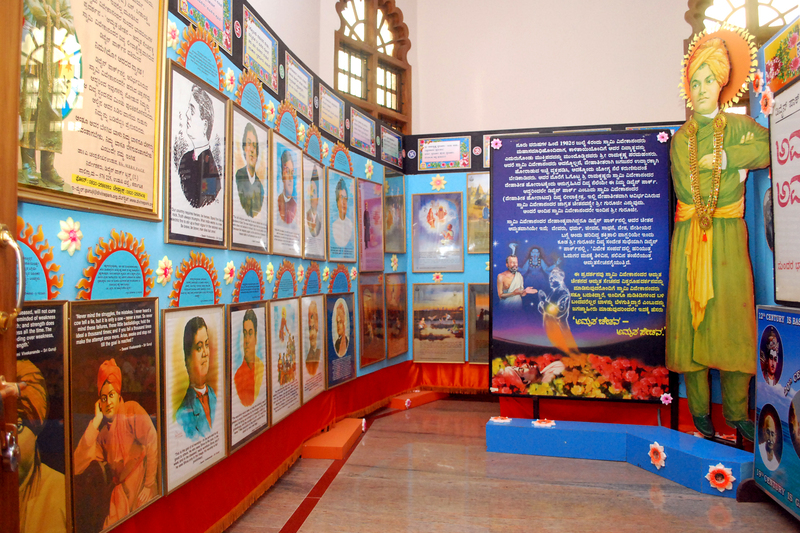 Sri Guruji – Swami Vivekananda has been guiding spiritual seekers on the path of fruitful Sadhana by relaying divine messages through His spiritual medium, Rev. Doctorji. 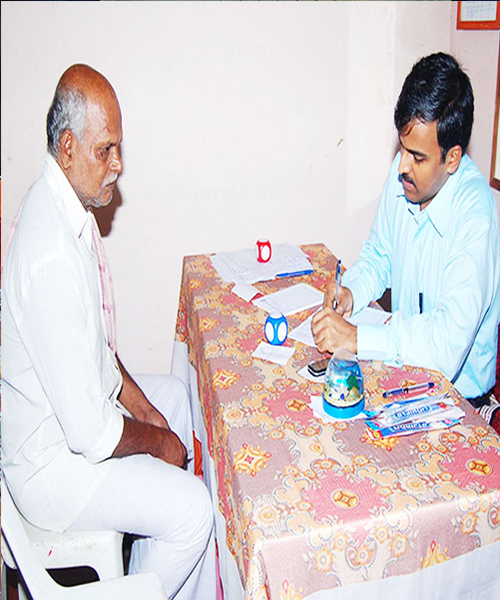 followed by Aarathi and prasadam will be given by Poojya Doctorji. Usually on first and last Sunday, there will be Sri Guruji Sandesha Sudhe (Spiritual discourse) from 3pm to 6 pm followed by Guruvandana where spiritual questions will be answered by Poojya Doctorji. A universal platform of Gods of all religions. A divine abode of Atmashakti Jagrithi for immersion in devotion. A rear sanctum sanctorum of cheerful catholicity. 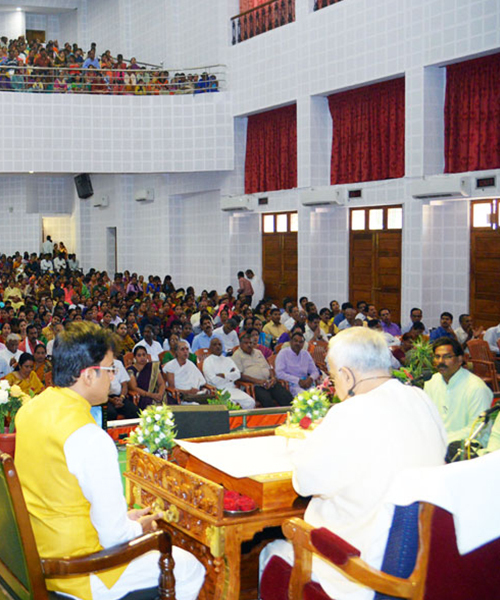 A noble university of practical Vedanta and Dynamic Spirituality. A sacred altar of instantaneous guidance of God. A serene place of sage Budha Kaushika for Bliss. A holy pilgrimage of inner revelation of God. A successful spiritual sojourn for ideal householders. An ideal centre sublime of ‘zeroness’ forever. A unique park of overflowing divinity and sanctity. 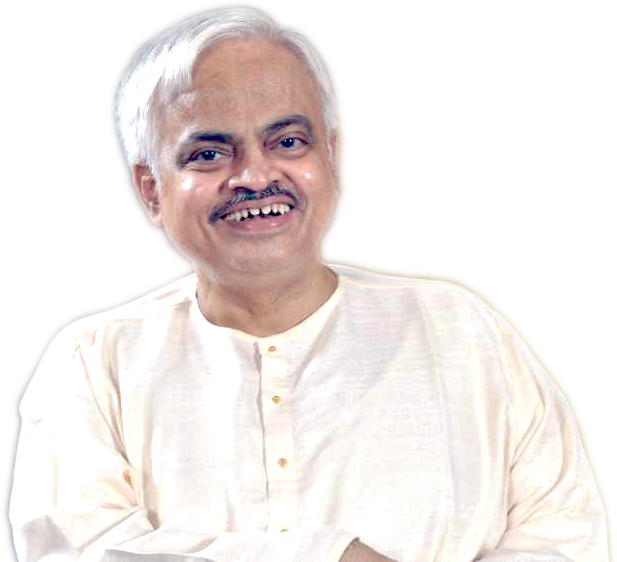 Sri Guruji – Swami Vivekananda has been guiding spiritual seekers on the path of fruitful sadhana by relaying divine messages through his spiritual medium, Dr. A Chandrashekhara Udupa B. Sc, M.B.B.S, F.A.G.E, a doctor by profession and Self-Realized saint, Rishi of our times. DIVINE PARK is a unique universal platform of Gods and Goddesses of all religions. It is verily a spiritual laboratory of Sri Guruji – Swami Vivekananda. 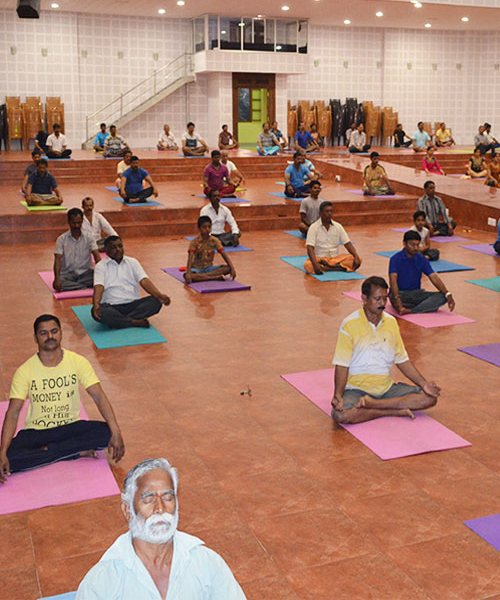 Divine Park mainly focuses on Atmashakti Jagriti for immersion into spiritual quest with devotion and direction. The patriot monk of India, Vishwa Manava, Vedanta Kesari Swami Vivekananda assured the world with his intense love for the mankind: “It may be that I shall find it good to get outside my body — to cast it off like a worn out garment. But I shall not cease to work! I shall inspire men everywhere, until the world shall know that it is one with God.”True to His words, Swami Vivekananda manifests here in an invisible form and has been guiding all continuously in spiritual path. On 1st of every month don’t forget to enjoy Energy Enlightenment (E² ) flash and practice in your Life. Best performances of Divine Sparks in subscription of ‘Viveka Sampada’, ‘Viveka Veena’, V3, V2 will be exhibited. Wherein I give one simple question and you should send your answers within 15th here. The question helps a lot for your spiritual saga as such. Godly Glimpse on 31st of special months as such!